The Nebraska Department of Insurance issued this bulletin about homeowner’s insurance claims. This is especially important as people are wrapping up their claims from our Nebraska spring storms! We’ve put the content of the bulletin below. Share this with anyone you know who may have had to file a claim this year! The Nebraska Department of Insurance urges consumers to be cautious when signing post-loss assignments for homeowner’s insurance claims. It is important for policyholders to recognize and understand the significance of these contracts. What is a Post-Loss Assignment? A post-loss assignment of a claim is a contract signed by a homeowner, after a covered loss, granting a contractor all rights and duties of the claim under the insurance policy. Once signed, the contractor owns and controls the claim without any input from the insured. When is a Post-Loss Assignment Signed? A loss occurs when a covered risk causes damage to the insured property. In a weather related case, the insured property is damaged by wind, hail, rain, and/or a tornado that requires repairs to the roof, siding, gutters, deck, windows, etc. After the damage, the insured files a claim with the insurer and the insurer completes an estimate of the damage. The insured hires a contractor and signs a contract for the repair work. Typically, the contractor requires the homeowner to sign the post-loss assignment at the same time the repair work contract is signed. The contractor does not typically explain the significance of the assignment, rather, the contractor declares that the assignment enables the contractor to negotiate or communicate with the insurer on the claim. Once you sign the assignment, the contractor now owns all rights and duties to the claim. This has important continuing ramifications for you as a policyholder. There may be a time when the insurer and contractor disagree about payment for the claim. If they cannot reach an agreement on payment, the contractor will sue the insurer. The suit will be filed in your name against your insurer. The contractor does not need your permission to file this suit. You will not be notified of the suit nor will you have any active involvement in it. However, the suit may have an impact on insurance rates and insurability of you in the future. This has recently happened to hundreds of Nebraskans. You may still be financially responsible to the contractor for the difference in the contractor’s price and the insurer’s payment. The contractor may file a lien against your property. You may be dissatisfied with how your insurer has handled your claim and wish to file suit against your insurer. You no longer have the ability to do so because that right now belongs to your contractor. You may be displeased or have a disagreement concerning the quality or scope of work with your contractor. If you wish to fire your contractor and hire a new contractor, the assignment is still valid. This means that your prior contractor still owns all rights, including payment, on your insurance claim. A homeowner is not required to sign a post-loss assignment. Prior to signing an assignment, consult your own attorney to discuss ramifications of executing the assignment. Know what you are agreeing to. Carefully read any agreement or estimate before signing. 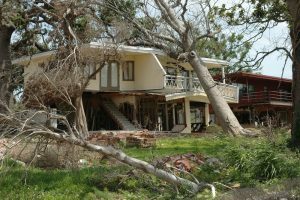 Many homeowner’s insurance policies explicitly prohibit assignment of the insurance claim, however, the Nebraska Supreme Court issued a ruling in 2016 that these assignments were binding and valid. Do your homework before hiring a contractor. Ask your family, neighbors, co-workers, and others for contractor recommendations. Receive written estimates from multiple contractors and compare those estimates to your insurer’s estimate. Review the Better Business Bureau’s ratings of the contractor. Ask the prospective contractor about business practices you may be concerned with, including whether they want you to sign an assignment. Many contractors do not use assignments. The Nebraska Department of Insurance does not regulate contractors’ conduct. Complaints filed with the Department of Insurance concerning the conduct of contractors, even if an insurance payment is involved, will not be investigated unless insurance fraud is suspected. The Department of Insurance can be reached at 402‐471‐2201, or on its toll‐free consumer hotline at 1‐877‐564‐7323. Additional insurance-related information can also be found on the Department’s website at www.doi.nebraska.gov. If you’d like to talk to one of our highly-qualified agents about a homeowner’s claim or want to get a free quote on Omaha home insurance, please contact us today.